An artist's impression of the concourse of the Punggol Coast Station. Credit: Land Transport Authority. Originally planned for 2030, Singapore’s Land Transport Authority (LTA) has brought the completion date for the North East Line extension (NELe) forward to 2023. The date has changed to support the upcoming business and residential developments in Punggol North – which NELe will serve. Originating in Punggol, the 1.6km extension will also see a new station built, which is to be called Punggol Coast Station. LTA will be calling tenders for the construction of NELe in June, 2016, with construction expected to begin in 2018. 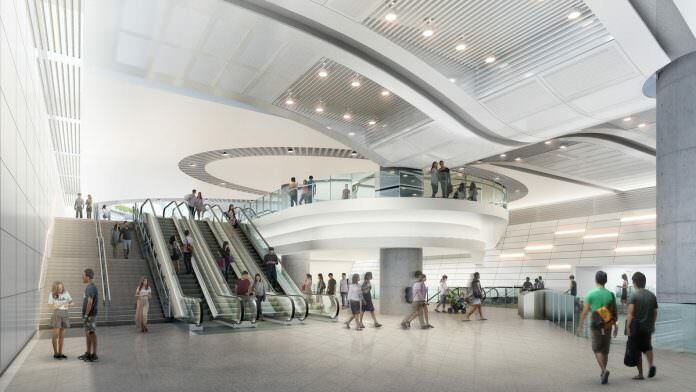 LTA deputy chief executive Jeremy Yap said: “We envision the station to be a vibrant community hub that brings commuters together in the heart of Punggol North.